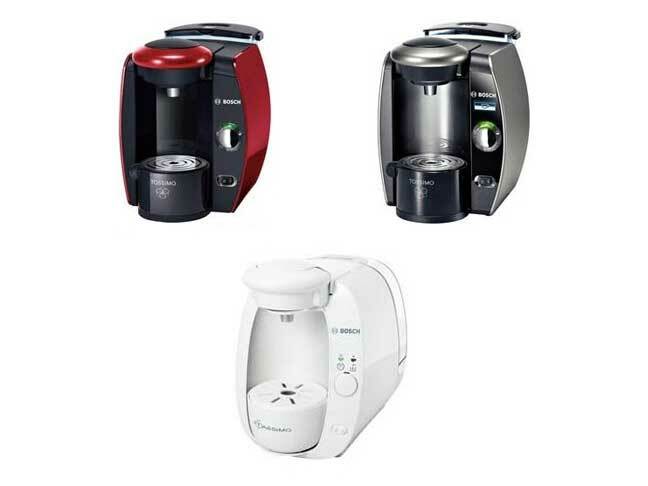 On February 9th, 2012, the U.S. Consumer Product Safety Commission and Health Canada, in cooperation with BSH Home Appliances Corp. announced a voluntary recall of their Tassimo Single-Cup Brewers due to a potential burn hazard. The plastic disc, or T Disc, that holds the coffee or tea can burst and spray hot liquid and coffee grounds or tea leaves onto consumers using the brewer and onto bystanders, posing a burn hazard. This recall involves Tassimo brewers with the Bosch brand name and Tassimo Professional brewers. The brewers use plastic T Discs that are filled with coffee or tea to brew hot drinks. “Bosch” and “Tassimo” are printed on the front of the brewers. “Tassimo Professional” is printed on the front of the professional model. The Bosch-brand brewers were sold in black, white, anthracite, gray, silver, red, titanium and white/gray colors. The Tassimo Professional brewers were only sold in black. The following model numbers and date codes are included in this recall. The model number and date code are located on the bottom of the brewer. Includes Model Numbers that begin with TAS100, TAS200, TAS451,TAS46,TAS651 and date codes that begin with FD and are within the range of 8806 through 9109. Includes Model Number TAS6512CUL that have dates codes that begin with FD and are within the range of 8905 through 9109. As of February 9th, 2012 there have been 140 reports of incidents with the brewers spraying hot liquid, coffee grounds or tea leaves onto consumers, including 37 reports of second-degree burn injuries. One incident involved a 10-year-old girl from Minnesota who received second-degree burns to her face and neck and had to be hospitalized. Consumers can visit the CPSC website to receive further updates about this recall. 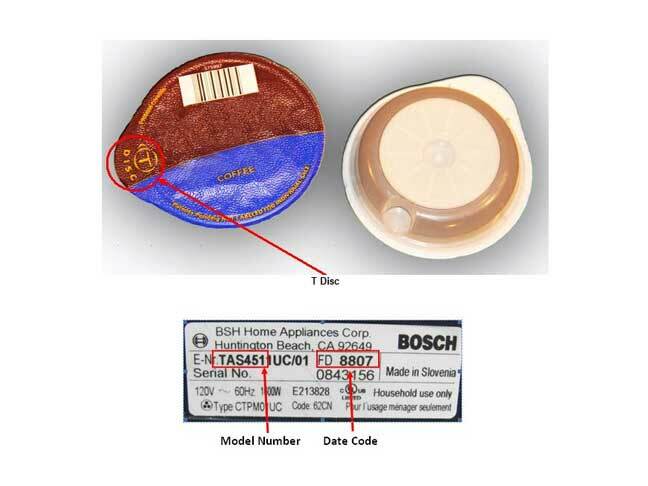 For additional information, visit the Tassimo website to order a free replacement T Disc holder or contact the firm toll-free at (866) 918-8763 between 8 a.m. and 8 p.m. ET Monday through Friday or between 8 a.m. and 1 p.m. ET Saturday.